When I first started carrying my SBR AK47 almost three years ago, I mostly used the Agama backpack by Mountain Hardware. I chose the Agama backpack (or the High Sierra Soak hydration bag) because they were innocuous and blended into my environments. I was allowed to use my EDC bags and SBR / PDW in classes over the last two years. I’ve learned a lot, and I no longer recommend a two strap bag (like a backpack) if you intend to carry a PDW / SBR. In almost every case, you must set the bag down in order to access its contents. Sliding one strap off and swinging the bag to the front of your body is an option. However, most two strap bags are designed to be top loaders. Your ability to access the main compartment of the bag will be compromised when the bag is at an angle. Unless the bag is designed to have a side zipper, chances are the opening will be pointing away from you with a two-strap bag. Setting the bag down anchors you in place. This isn’t always bad (you may be behind concealment or temporary cover), but I don’t like being forced to set my bag down. A sling bag or bag mounted by a cross-body strap allows you to move while manipulating the bag. Speed is of the essence, and setting the bag down, unzipping it, accessing contents, zipping the bag up (optional), and putting the bag back on takes too much time. If you’re in a hurry, mounting a two strap bag on one shoulder causes the bag to swing and possibly interfere with your movement. I would brace the bag with my left elbow and squeeze the strap between my arm and body. This reduced mobility on my left side, and caused problems any time I needed my left hand (eg reloading). The photo above is from a partner drill I ran with The She Shepherd a year and a half ago. Notice the two-strap bag sandwiched between my body and right arm. I have no idea how the bag wound up this way, but it did. The storage compartments are now facing away from me, and the bag is hanging off of my primary arm. Two strap bags cannot be rotated to the side or front of your body in case you need to manage the bag’s orientation. I am going to write a longer post about this, but there will be times that you want your bag on the front or side of your body instead of your back. This is impossible with a two strap bag. The above bag like the Vertx Commuter Sling Bag carried by The She Shepherd is designed to be slung in front of the body. it’s important to test your philosophies, tool, and techniques with fight-focused training. we should constantly evaluate what we’re doing, keep what works, and discard what doesn’t work (or doesn’t work as well). being open to criticism from instructors and fellow students is necessary for learning. Part of the reason I started looking at sling bags is because a reader pointed out weaknesses in how I slung a two-strap bag on my shoulder, and that I should investigate other options. Are you carrying a two-strap or one-strap bag? 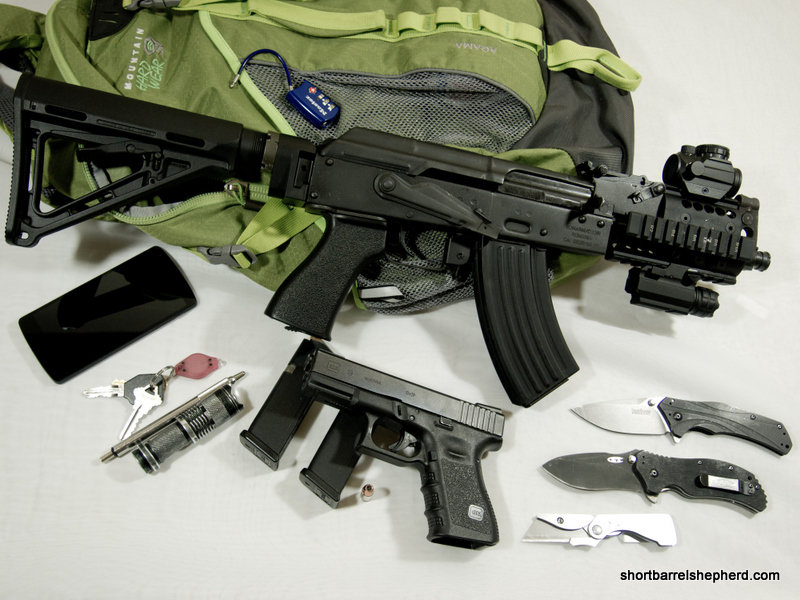 4 Comments on "Why I don’t recommend two strap bags for EDC"
You look like the bad guy holding an SBR in an active shooter situation. I wonder if you’d consider writing a post on how you intend to reconceal your SBR in an active shooter situation before police arrive? What are your reconceal go signals and what training/SOP/decision tree rules do you have to successfully (ie not getting shot and killed) link-up with arriving law enforcement who are in various forms of adrenalization? My suggestion for a default response if you can’t get the weapon back into hiding when law enforcement shows up is to IMMEDIATELY DITCH IT. Throw it down/away from you and get your hands up as quickly as possible as you drop to the floor. Don’t assume they’ll do anything but treat you as a potential hostile at first. Also: If the gun is back in the bag consider that you may not be allowed to exit the area with anything in hand especially if the situation has not been resolved yet and that you will probably be subject to search on the way out. 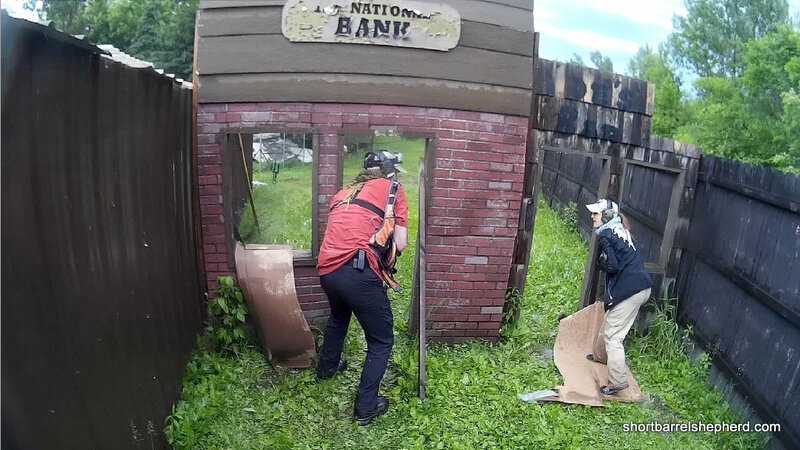 You need to be prepared to face that and what will happen when they find either handgun or SBR/pistol. Excellent question, and excellent advice. Concealment when LEOs arrive is not necessarily the best option, because it may look like you are hiding something. Instead, dump the gun in plain sight, raise your hands, prone out away from the gun, and listen quickly to instructions. This advice is good for long guns and handguns alike. 10+ years as an LEO, 4 years teaching AS response to civilians and LEOs. There are plenty of inexpensive sling style bags that work great. 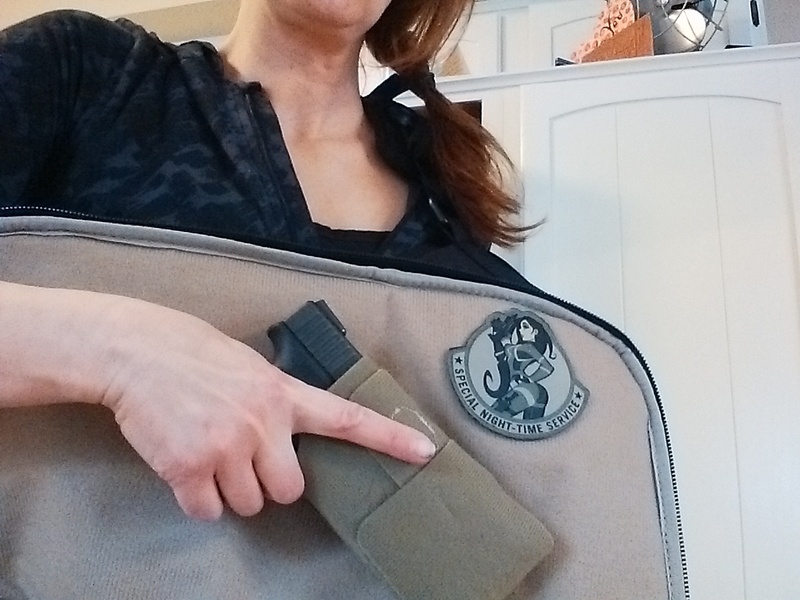 My EDC is a $30 Fieldline Tactical ROE bag I got from Wal-Mart. When I rotate it in front, it sits like a chest pouch on body armor. I carry extra ammo, a backup pistol (SIG P229), and a med kit in it, along with a set of metal cuffs, some flex-cuffs, and a reflective vest with POLICE printed on it, for quick identification. Maybe slip a panel of body armor inside the back panel of the shoulder bag and wear the bag across your chest if needed. I do that with my Spec Ops bag, the waist belt snaps behind my back. Doesn’t solve the top loading concern but gets the bag out of the way and in use for something other than an empty gun case.